Royce White is a National Basketball Association first round draft pick, an advocate for players’ mental health and, much to the NBA’s chagrin, a lucid critic of capitalism. Royce White is an NBA player with a cause. The first round draft pick of the Houston Rockets sat out the first half of the season in protest of the ways the team handled issues related to his mental health. Now he is back, playing for the team’s D-League team, the Rio Grande Valley Vipers, but he hasn’t stopped speaking out about the NBA, mental health issues and the way capitalism impacts our world. Yes, you read that last part correctly. 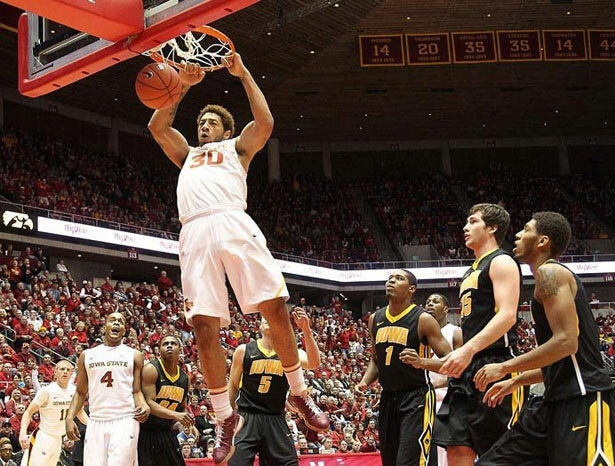 I interviewed Royce White for my radio show, Edge of Sports, on Sirius/XM. Read an edited version of our interview below. I’ve edited some of my questions for clarity purposes and cut some questions and answers for brevity’s sake but Mr. White’s answers below are verbatim exactly as given. People can hear the full audio of our interview at this link. Royce White considers himself a “humanist” and as you will see, his humanity shines through. Dave Zirin: Talk about what it’s like to be an athlete who is also not afraid to take political stands. Royce White: The greatest thing that I ever got from sports was camaraderie and teamwork. And it was the teamwork piece that will allow me in the future to make an impact on this world because I understand cohesiveness and I understand chemistry and a group of people getting together and having the same goal and how to sacrifice so that your teammate can be the best them. But, number two is that sports—especially professional sports—is a microcosm of capitalism. And capitalism is, in my opinion, in its form as it stands today, one of the things that stands in human welfare’s way. And, the reason being is because it’s just a by-default sense of selfishness; I have to one-up the person next to me at some point to get ahead. And I’m always striving to get ahead. The person next to me becomes expendable, and those are things that I just don’t believe in. Not to say that I don’t believe in capitalism. I believe that capitalism is a great system and it gives us all something to strive for and it allows us to dream. But it needs to be reformed. And, the way it stands today is very human-welfare-unfriendly. You’ve spoken about capitalism and the deterioration of our collective mental health in the past. Here’s the deal, we all understand the dynamic of the few having control of most of the resources and the money and power and it’s a brilliant system that they set up. And I take my hat off from an intellectual standpoint; the system in itself is so brilliant. But the reality is that for 98 percent, the quality of life that we endure is so tumultuous, and it’s so drama-filled, and the messages we receive are so drama-filled and so tumultuous that it’s no surprise to anybody in the medical world why it is that we’re experiencing what I believe to be a mental health epidemic. And, not to say that it’s just starting now, because it’s been in effect for a long time we just now are finding words to call it [what it is]. But it’s in full effect and it will continue to grow until we start to care for one another. I think that mental health represents one of the greatest examples of the need for obligation, because with mental health, you don’t just stay in your lane. Somebody else’s issues become your issues and you have to be more conscious of how you interact with someone else, as opposed to just thinking about yourself. How do you feel about the way the media has treated your struggle over the last six months? There’s almost a sense of how dare I speak about politics as an athlete? Or how dare I speak about politics at 21? And I think that that offers a lot of friction between myself and the media and how they perceive what it is that I’m saying and how it comes across and all those sorts of things. You know, there’s an even more subtle underlying reason that, that I believe is because we all know how big of a business media is—another microcosm of capitalism. And human welfare isn’t on the same side of the street as media, at least the way media is today. I’m talking in general terms, not everybody in the media. I was stunned when I read in one interview you said that you would be willing to put your life on the line to make sure that there was universal mental health coverage in this country and, in one of the media analyses, one of the most prominent sports writers in the country [Bill Simmons] said, “The thing I get out of this interview is that I don’t think Royce White really likes to play basketball.” What do you say to that? I mean, we become so consumed with what we do. We become so in our lane, and we wake up every day and we discuss these issues—military issues and economic issues and health issues—and we tell ourselves, “That’s the way it is.” It gives us comfort and the next day we participate in that same system that we criticize. And, it doesn’t escape anybody; it doesn’t escape a Bill Simmons. He’s a sportswriter and a sports journalist, that’s all he’s thinking. When I say human welfare it’s almost like it goes in one ear and out the other because he’s not willing to take a stand for human welfare. He’s not willing to put his sports affiliation or job on the line for human welfare or what he really believes in. Because if we sat down, I’m sure he would believe in some of the same things that I do—almost, if not all of them. And, you know, there are just some people who are willing to actually stand for what they believe in against all odds, and some people who just won’t. And that’s fine too; it’s not a bad thing. It’s just alarming, like you said. What do you think NBA Commissioner David Stern and his heir apparent Adam Silver are thinking about you right now? What do you think they think about a player who has the skill set to thrive in this league, but who’s also a critic of capitalism? I mean this is the league that Michael Jordan built. What do you think they think about that in their quiet times? I think that they think and I think that they know that I’m an issue. And I’ll continue to be an issue, because what I believe in, they don’t have anything to offer me that will make me step off that square. And I think that they view me as a threat—and I am. When we talk about…somebody who comes along and is willing to say the honest thing, or address the elephant in the room, it makes people uncomfortable. But, at the same time, I think that they’ll see over the years that my intention is not to bad-mouth the NBA, I think that the NBA offers great things for our society. But, again, nobody escapes the umbrella of reform. Nobody escapes the umbrella of needing to progress. Definitely no one escapes the umbrella of needing to prioritze human welfare. So those things I think will come to fruition, hopefully with the cooperation of myself and my team and anybody I come into contact with—whether it be the NBA or the music industry or the movie industry or the fashion industry—and I always stand for what I stand for. No matter what I do. Last question: Off the top of your head, if you could have one hour with anybody in the history of sports, living or dead, just to sit down with them, pick their brain, talk to them, hear what they have to say, and learn from them, who would that be? I think I’d have to go with Muhammad Ali, just because I’m such a big fan of Muhammad. And I really admire the things that he was able to muster up the courage to stand for in his time. He’s a lot different and I don’t try to mimic my own persona after Muhammad. He was a little more loud and boisterous than me, but he was incredible. I would love to be able to sit down and talk with him, especially in his prime when he was really quick and snappy. A close second would be Arthur Ashe. Read Patricia Williams’s column on the psychological impact of the “war on drugs” on children.